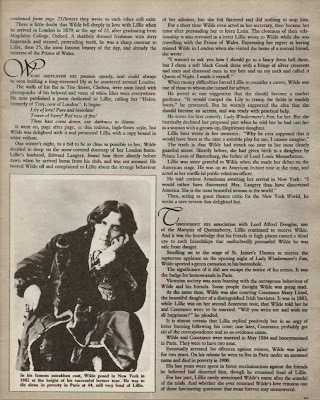 It’s time for this week’s “TV Times Thursday” where I take an article or something of interest from a past issue of the TV Times (TV listings of ITV programming) and post it here to share with you. This week we post coverage of the London Weekend Television production of Lillie. 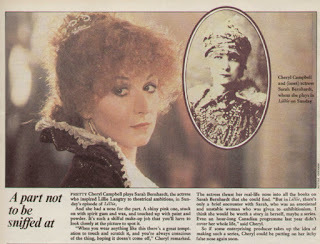 One article discussing Oscar Wilde (in the production he was played by Peter Egan) and the other article about Cheryl Campbell playing Sarah Bernhardt. 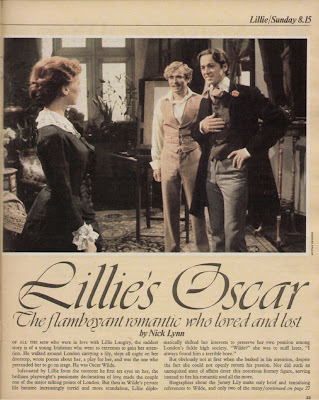 This is from the 28/10/78 edition of TV Times. The episode running that week was episode 6 Let Them Say. TV Times Thursday bonus: Ronnie Barker is a shill and a frightening one at that! Here’s an ad for Vernons Pool with Barker in drag. Enjoy! If there is an article you remember and want to see from the TV Times, drop us a line at feedback@fromthearchive.co.uk or leave a comment below. We switch back to Radio Times listings in July.